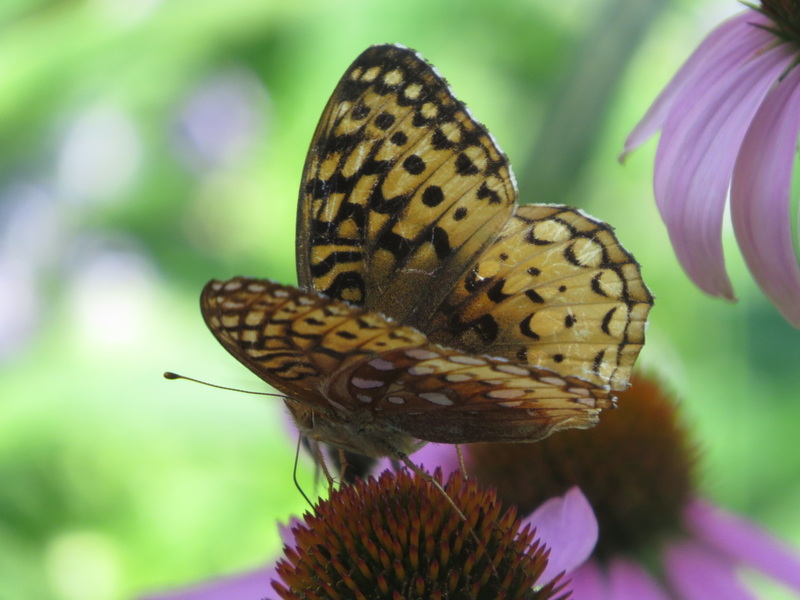 Pat Snyder identified this butterfly from the above photo taken by Lucy Quimby. Beautiful! Thanks to both. This species is common in the north and east of North America. It has black wing margins above and blue-gray eyes. 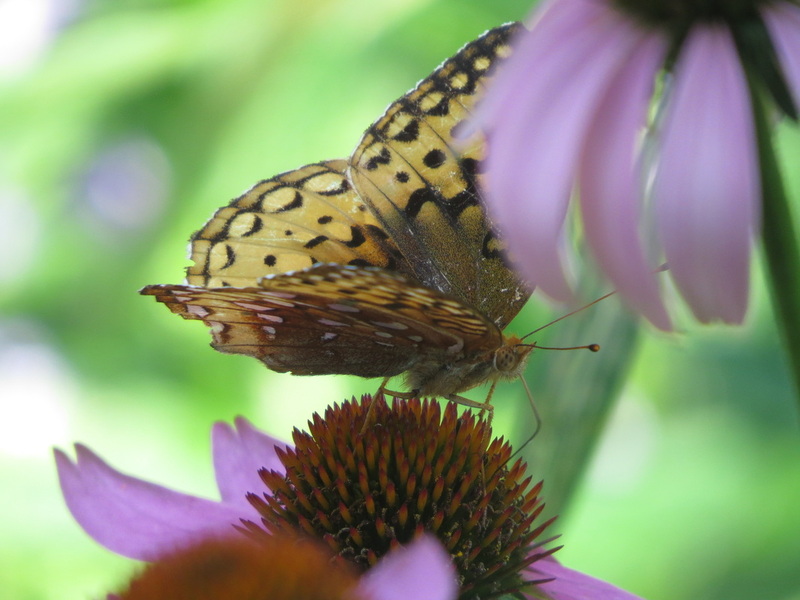 The hindwing has dark reddish brown disk, the spots always silvered and the postmedian spots small. They fly in summer and have one brood. Their larval foodplant is violets. See below photo for a better shot of the butterfly's head, antennae, and proboscus.